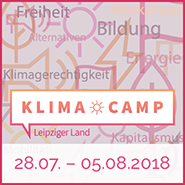 Against all rumours that there would be no climate camp in the Rhineland this year, we officially and proudly declare: Of course there will be a climate camp, and to be exact, it will take place from August 11-22! This year we have special focuses: For one, we want to take a moment to reflect on our strategies and structures as the climate movement. Where do we currently stand in the struggle against coal mining and climate justice, and how can we reach these goals? And we want to look into the future – what is going to happen in the Rhineland mining region with and after a coal exit. We are networking with the people living and working at the mines and want to grow stronger connections with the local resistance against destruction and climate chaos. Reflecting on and changing our structures to us also means finding ways to climb out of the pitfalls of the service society, or: We will collectively build the camp up and take it down again within the two weeks camp period. 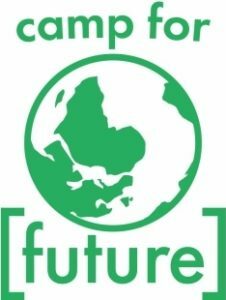 A more theoretical approach will be undertaken with two conferences: on the organizational structures of the international climate justice movement, and on strategies for actions of mass civil disobedience. More information coming soon! In between meetings, we work with mailing lists, group phone calls, and online tools. Früher gabs das auch auf deutsch! Jetzt nicht mehr? Kommen mehr Nichtdeutsche und organisieren mit? Hallo Norbert, die Seite gibt es auch komplett auf Deutsch, einfach oben rechts in der Ecke umschalten. Beste Grüße!